Whether it is your home or office, seeking for incredible ways to decorate it and enhance its aesthetic value and innovative design is on the rise. Besides that, all openings in your office or home should be protected or guarded all day round. Nowadays, the use of grills is increasing being accepted by many people in and around Singapore. Indeed, grilles are often installed in the balcony and different other places of the commercial buildings or apartment. Inherently, these grilles are very popular among Singapore homeowners who have vast open view balconies. 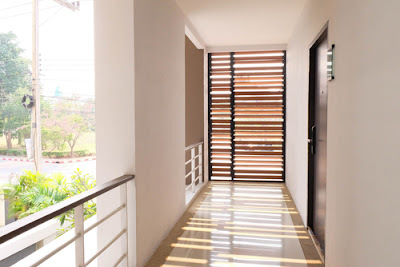 Typically, open balconies are the primary avenues where burglars and robbers get into your house or office. 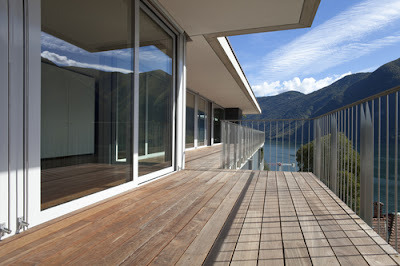 Therefore, if you want to enjoy the pleasure a balcony, then the necessary measures to make more secure are inevitable. That being said, balconies need to be reinforced with the best balcony grills on the market. How to you choose the best window grill for your balcony? The shape of the window grill for balcony adds both security and splendor of your office or home. For instance, diamond-shaped grills are considered sturdy since they are made of a large mass of metal. In fact, that feature alone makes them the number one choice for people who are concerned in boosting their home or office security. On the other hand, Moroccan-shaped grills are considered most decorative when used as window grills for the balcony. Indeed, there are perfectly ornamental, and therefore, they are highly suitable for offering decorative effects. Typically, a good number of people fancy horizontal-shaped window grills simply because they look simple as well as beautiful. Window grills for balconies are supposed to contribute to the overall elegance of the place. In other words, its utility value will be greatly felt if it’s decorating features blends with other parts of the building beside the balcony. In this regard, it is inevitable that you have to choose the right color that that matches the exterior of your office or home. Typically, selecting the right and correct color that matches your home/office should not be that difficult task since there are tens and hundreds of available options in the market. However, you will note that aluminum window grills are available only metallic shades and powder coated versions. Inherently, window grills come in various sizes to fit different preferences and tastes. The only incredible thing that is worth noting concerning dimensions is that small spaced window grills offer more security as compared to the larger ones. Similarly, for those people are looking for window grills that allow free circulation of airflow from the balcony are advised to consider bigger models. Whether it is big or small spaced window grill, each comes with its outstanding advantages and benefits. Therefore, when buying window grills for balcony, you are highly advised to ensure that you have made the right choice depending on the function and feature you expect the grills to play on your balcony. Despite the fact that fixed grills are rare in Singapore, there are best suited for offering maximum security to property. Besides that, it is perfect for windows that are accessed from the outside, which are balconies in this case. On the other hand, sliding grills are safer and beautiful as compared to fixed grills. The last type of window grills, Casement grills, are also considered significant and beautiful; however, they are somehow dangerous if installed in an inward-opening window. This material is very popular. 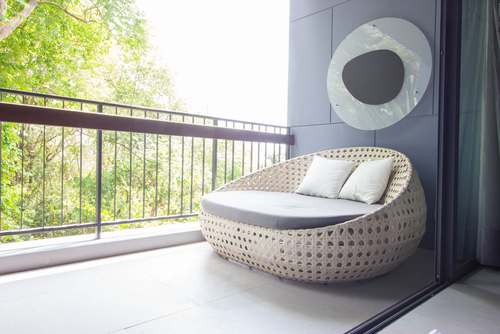 It is sturdy and thick, making it best suited for balconies in offices and homes. Besides that, its initial installation price is highly affordable. Typically, window grills made of aluminum are considered the lightest materials. There are good for making window grills for a balcony for use in homes and offices. Aluminum material forms the most stylish grills. Grills manufactured from the above material are very popular in Singapore. Indeed, they are sturdy in nature. Despite the fact that this material is quite expensive than its formers, it is very easy to install and maintain. The best window grills makes your property (home or office) look beautiful as well as more keep it more secure. In this case, you are advised to take your time when shopping for window grills for a balcony so that you increase your chances of identifying the flawless grills that you have always wanted. Despite the fact that the final decision rests with the property owner, you can use the tips mentioned above to help you find the perfect grills for your Singapore property.